Karl Popper’s words underscore the timeless, preeminent nature of power. Power – be it tangible, intangible, natural, military, or economic – shapes the capacities of the state and its role within the international system. The Middle East is no exception to this realist reading of international affairs. The Arab Spring, the Syrian conflict, the war in Yemen and the Iranian nuclear deal have all created a battleground, often quite literally, for state power interests to compete with one another. How are these power configurations linked to identity? The United States sees itself as a stronghold of liberal democracy, Japan as the quintessential trading nation, and Switzerland is comfortably ensconced in its 200-year-old neutralism. This “sense of self,” or who states are, shapes and defines what they do. Power and identity routinely mould and inform each other. For a country like the United Arab Emirates, described by many analysts as a middle, regional, or rising power, these questions hold particular relevance as the UAE reshapes its position in the world. From an identity-based perspective, the UAE is worth examining for three reasons. First, its rising power status calls into question which identities are being promoted. In recent years, a shift is apparent from a non-interventionist identity to one that is far more militarily active. In recent years the UAE has made a name for itself as a major regional player, funding rebel militant groups in Syria, joining the anti-ISIS bombing campaign, and sending troops to Yemen. Second, readings of states’ use of hard, soft, or smart power have tended to focus on dominant states – such as the United States, India, and China – smaller states like the UAE remain under-theorized and deserve attention. Finally, the dramatic political upheavals across the Middle East only make questions of power and identity more relevant, demonstrating how states negotiate the use of power amid turbulence. Regime changes in Tunisia, Libya, and Egypt, intrastate conflict and foreign intervention in Syria, the broader jihadi threat both within and beyond the region, and interstate conflict in Yemen all affect and are affected by perceptions of power. So how does the United Arab Emirates articulate power in its foreign policy, and how does this reflect its state identity? Power configurations fasten the UAE to three dominant identities: humanitarianism (soft power), militarism (hard power), and multilateralism. The UAE’s projection of “smart power” through multilateralism has enabled the UAE to construct itself as a particular type of actor both regionally and internationally. The term “soft power,” first articulated by Joseph Nye, refers to using persuasion rather than coercion to exercise influence. Soft power attempts to cultivate control through the pull of cultural, social, and humanistic mores. 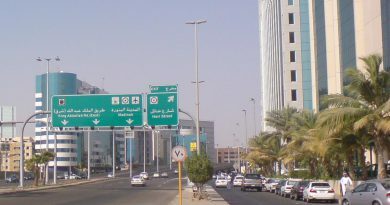 International aid has long been the dominant soft foreign policy strategy, although there are other aspects to the United Arab Emirates’ use of soft power – such as its large-scale branding ventures, which include the hosting and sponsorship of sporting clubs and events, and the expansion of luxury leisure services. The UAE’s first president, Sheikh Zayed Al Nahyan, affirmed aid as one of the basic pillars of the nascent state’s foreign policy. In 2015, Organization for Economic Cooperation and Development (OECD) statistics revealed that the UAE was the world’s largest donor by percentage of gross national income, contributing 1.09 percent. According to a government report, the UAE has been the second-largest donor to Yemen, and has also given considerable assistance to Syria, Egypt, Morocco, Jordan, and Palestine. In all, it donates to 178 countries. In contrast, hard power is concerned with coercive threats and the use of military or economic authority. Although the UAE has traditionally opposed interfering in the domestic politics of other states, in recent years it has become active in both Syria and, especially, Yemen. Although the UAE announced its withdrawal from the Yemen war last summer, it has said it will entertain the possibility of keeping troops stationed there for counterterrorism operations. The UAE has also embedded its militarist identity within citizenship by implementing national conscription. What explains the UAE’s recent turn to hard power? The first is the government’s perceived need to counter Islamism in all its forms. The purging of the Muslim Brotherhood in the 1990s, and the more recent approach to military confrontation with Al Qaeda and the so-called Islamic State, is part of a counter-jihadist plan that sets the UAE apart from some neighboring Gulf countries. The second reason is the realization that soft power is not, by itself, adequate to counter regional threats. The ongoing Saudi-Iranian rivalry, which has played out in Yemen and is attached to a broader Gulf fear of an expansionist Iran, has positioned the UAE’s military responses as essential for weakening Iranian influence. ‘Smart power’ – a middle path? Three separate but related “smart power” strategies wed the UAE to a multilateralist identity. The first is institutional. The UAE belongs to several multilateral organizations including the Gulf Cooperation Council, the Arab League, the Organization of Islamic Cooperation, the Organization of Petroleum Exporting Countries, and the Non-Aligned Movement, to name a few. The second is economic. The UAE is enjoying burgeoning non-oil trade and has well-established patterns of economic interdependency with Saudi Arabia, China, India, the US, and Germany. Finally, smart power is lodged within a vigorous network of diplomatic influence. With cultural and religious commonalities helping to bind close neighbours and strategic interests forging diplomatic agreements further afield, the UAE’s policy of diplomacy building has been extensive and consistent. As the Emirati Minister of Foreign Affairs stated in his address to the 71st United Nations Assembly in September 2016: “The past few years have shown that solutions based on crisis management are ineffective. Therefore, joint international efforts must focus on finding fundamental solutions for these conflicts.” As such, “smart power” strategy is shaped by a hard/soft fusion as this multilateralism creates networks that cover a range of hard and soft policy areas. However, a certain tension exists between the United Arab Emirates’ former reliance on soft power and its increasing exercise of hard power, which is at risk of becoming the state’s dominant foreign policy strategy. The limitations of using strictly hard or soft power are apparent: as part of the Saudi-led coalition supporting the ousted government of President Hadi in Yemen, the UAE has been criticized for indiscriminate and disproportionate bombing of civilian areas. Although military engagement is not inconsistent with the use of smart power, the UAE risks tarnishing its history of non-engagement for the short sharp shock of military response. This approach may antagonize other countries in the region if not coupled with multilateral and humanitarian responses, and risk causing a subsequent increase in terrorist or security threats to the UAE. Yet purely soft power also has its deficiencies. A state’s cultural dominance does not necessarily entail global approval of that state’s foreign policy,13 and soft power may be seen as hard power in disguise. Even if soft-power appeals to common values are able to produce a positive image for the Emirates, its soft-power identity is firmly lodged within its giving of humanitarian aid – which is too narrow a focus for projecting a broad statement about the nation’s global role. To conclude, the United Arab Emirates’ state identity is shaped by the interrelated pull of humanitarianism, militarism, and multilateralism. The multilateral identity associated with smart power offers three important benefits. First, smart power operates well within an increasingly complex world. 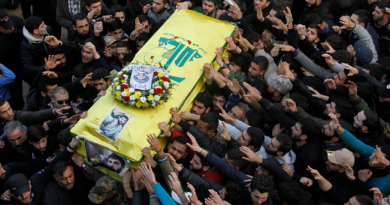 The use of purely military force may stymie the threats posed by jihadi groups in Iraq and Syria, but will do little in the long term to reduce the number of armed clashes the region has seen in the past 15 years. On the other hand, soft power does little to instil peace since it deals predominantly with mitigating the effects of conflict, rather than on resolving them. Second, multilateralism holds the broadest influence. It takes as its starting point the reality that middle-ranking states, unlike great powers, need to be part of coalitions in order to exert influence – whether economic, military, or cultural. Finally, multilateral action is necessary to address global concerns such as the humanitarian disaster in Syria, epitomized by the devastation of Aleppo – even if the UN proved incapable of ending the suffering of the city’s population. The UAE has been adept at cultivating broad and deep political, military, economic, and diplomatic ties with other countries. But increased reliance on hard power could destabilize these ties, and may consequently weaken its position when dealing with regional adversaries such as Iran. Global dilemmas – whether military conflicts, environmental degradation, global terrorism, or the rich-poor gap – render unilateral responses at best inadequate, and at worst destructive.